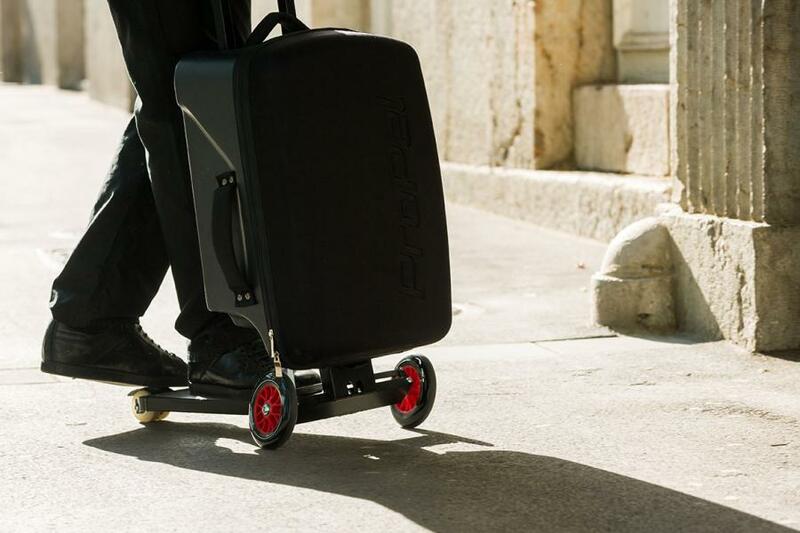 Kick scooters that double as luggage, whether for business or leisure – that’s the brainchild of a father-and-son team from Slovenia, who have almost hit their fundraising target on Kickstarter to enable them to take the products into full production. Engineer Bostjan Zagar came up with the idea after seeing a similar product that he believed had some design flaws and has patented unique features in his versions, which he worked on alongside his father working from a garage in the country’s capital, Ljubljana. 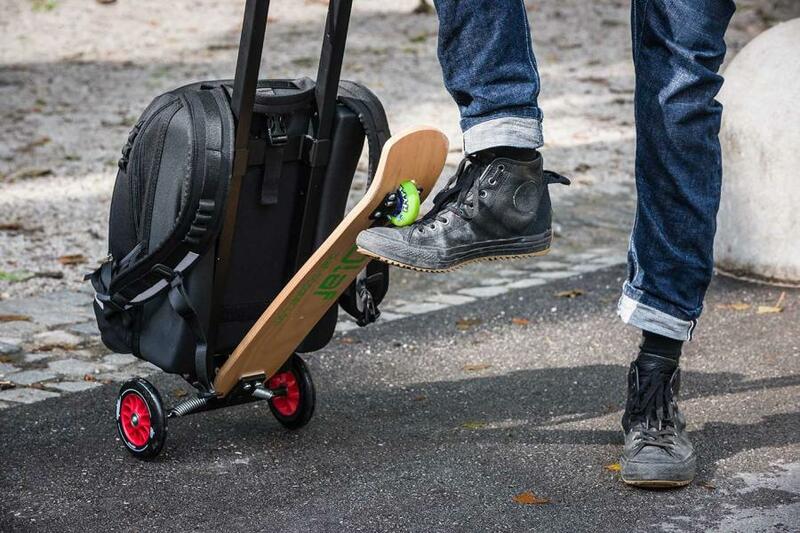 The pair spent three years developing OLAF Urban, a kick scooter backpack that can also be used as a longboard, and subsequently also devised OLAF Business, a suitcase with a trolley and handle that once detached, becomes a scooter. It’s a nifty idea, and one we can see having widespread appeal – we’re quite tempted to invest in some ourselves to get round the cavernous halls of Eurobike next year in super-quick time and be able to bring you even more news and pictures of the latest bikes and accessories. 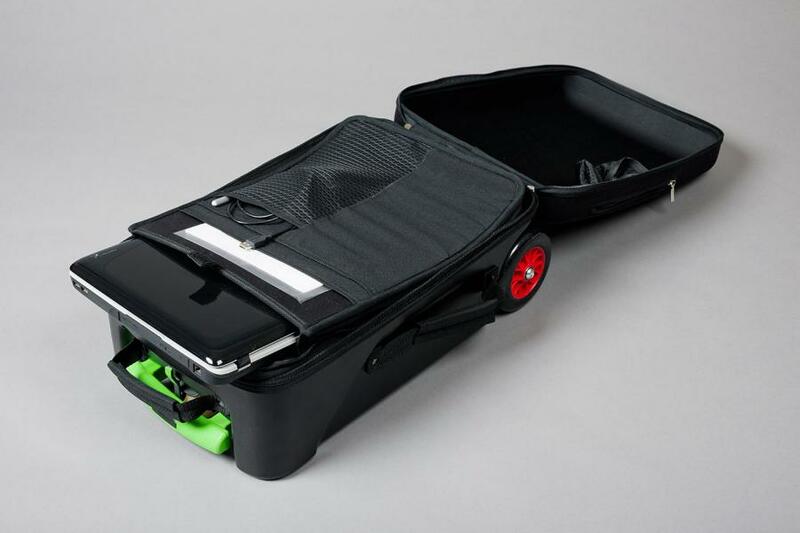 OLAF Business complies with current carry-on baggage rules for most full-fare and budget airlines, and in both cases, the scooters can carry the owner’s own bags too. Here’s an overview of each of them. 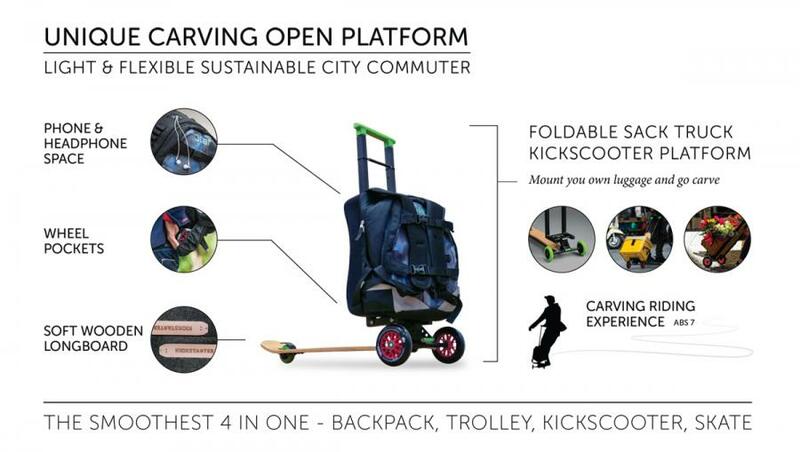 According to the pitch for funding on Kickstarter, where more than 90 per cent of the C$30,000 target has been reached with more than a fortnight remaining, “Both models represent our vision of urban mobility, blurring the boundaries between a backpack/suitcase and a kick scooter and thereby enhancing your commuting experience. 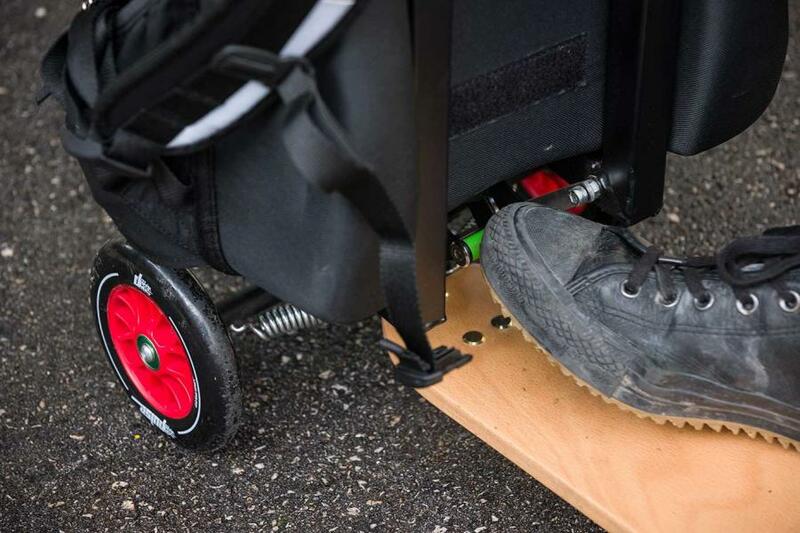 “The cleverly engineered kick-scooter platform and design provides a hassle-free experience, making it your ideal companion in various settings: going to school or work, shopping, traveling abroad, or just cruising around. 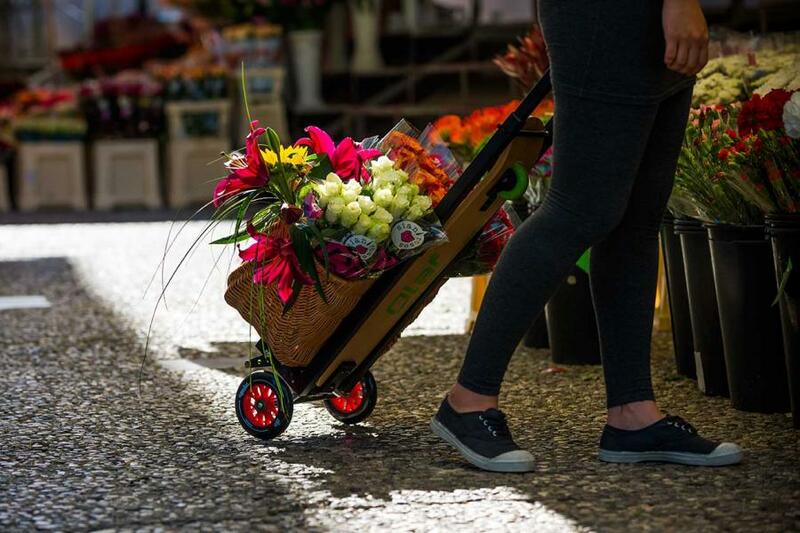 “The OLAF kick scooter has a well thought-out, clean, and practical design, with strategically placed pockets and compartments. The steering system is very responsive and easy to navigate even in crowded locations. “Although the two models differ from one another in important ways, they are both unisex, unisize, and can bear up to 100kg (220lbs). They are ergonomically shaped and safe to use on the street due to their rear wheel brakes and reflective material. 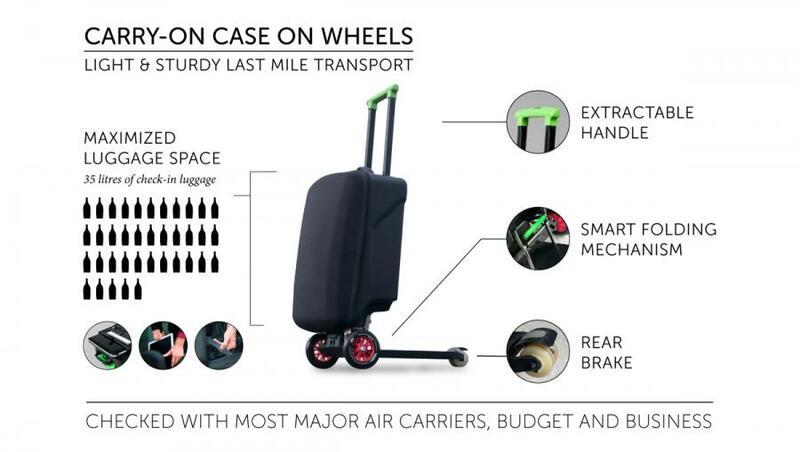 “The scooter’s multifunctional patented platform also allows for future development of different suitcases or backpacks. 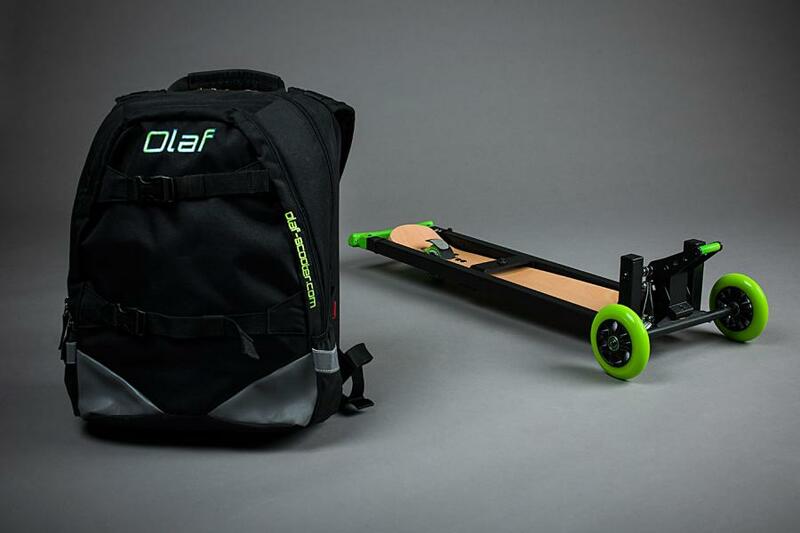 A range of options to buy the products is available on Kickstarter such as the OLAF Urban, available from €209 including the backpack, while prices for OLAF Business including the carry-on bag begin at €245, in both examples including an early bird discount and shipping to the EU.